September 1930. A scientific expedition embarks for the frozen wasteland of Antarctica. But the secrets they unearth there reveal a past almost beyond human comprehension - and a future too terrible to imagine.<br />By taking scientific fact so seriously, At the Mountains of Madness (1936), H.P. 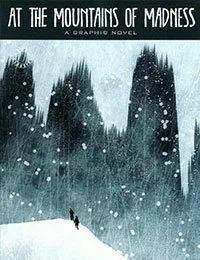 Lovecrafts classic take on the heroic age of polar exploration, helped to define a new era in 20th-century science fiction.<br />Adaptation of the novella by H.P. Lovecraft. Spider-Man "How to Beat the Bully" / Jubilee "Peer Pressure"